September 9th marks the release date for Think Void, the debut release by World Void Web (WVW). The Album is a culmination of the evolution made by World Void Web over the last few years, each recording session marking a further coat of polish on a thematically-dense album. Over the course of 54 minutes, listeners will be treated to a number of stylistic nods to various genres (including but not limited to progressive rock, metal, and psychedelic artists). Over the space of four months, World Void Web conducted the research for each track, laid down rough sketches, and ultimately built up a cogent story throughout the album. Establishing three distinct segments to Think Void – Web, World, and Void, the album showcases the relationships that listeners have with the world, its inhabitants, and the fundamental elements that make up all of Life. 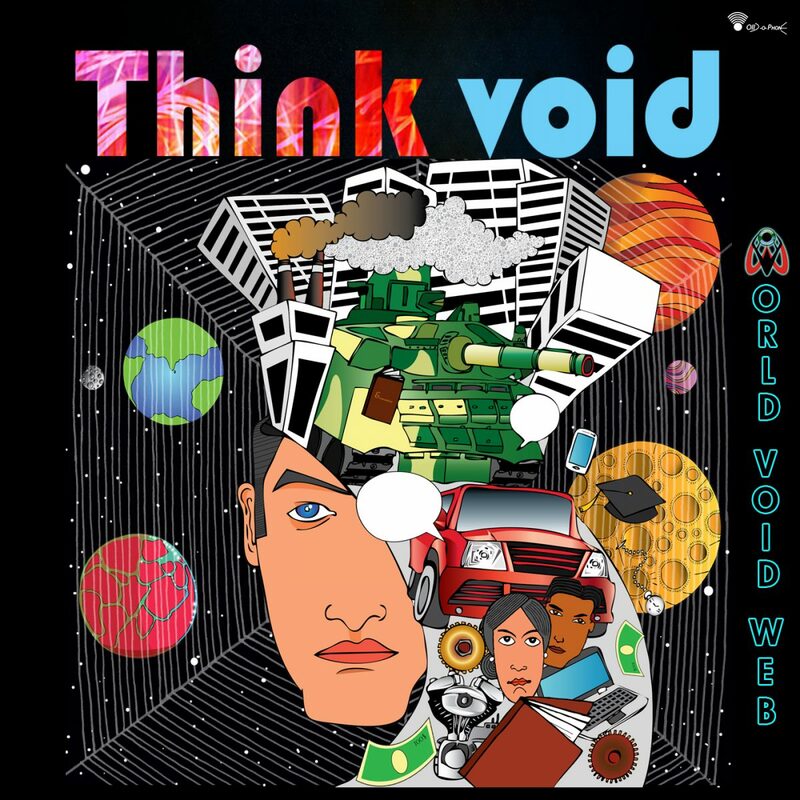 Philosophical, musically deep, and with arrangements that will stand up to repeat plays, World Void Web’s Think Void is an album that would be best enjoyed with listeners sitting back, focusing on the music issuing forth from speakers, and contemplating what each note means to the overall enjoyment of the album. The album’s 9/9 release date ensures that listeners throughout the world will be able to download and stream on that date. If WVW fans are located in India, they have the unique opportunity topurchase a physical copy of Think Void. Check out NeuFutur in the next weeks to see a longer treatment of the album, check in with World Void Web himself, and get a better idea about what Think Void is about before and immediately after its street date. Check out World Void Web’s main domain and social media profiles. Think Void is distributed by Songcast.